I don’t eliminate foods from my diet completely, but I am very conscious of how much I eat of a type of food and how it makes me feel. When I eat bread, pasta or dairy, I find myself craving more, much like sugar. And I crash soon after feeling hungry and moody. We’ve seen headlines about food being a drug and while the science is not well understood, there is some data to suggest that we may respond to food in the same way we respond to natural and synthesized drugs. Our bodies are hardwired for it. As you likely know, opiates and its synthesized derivatives comes from the poppy plant. Though more research needs to be conducted, some studies suggest that protein fragments found in dairy and wheat may activate opiate receptors. Does that man they are addictive? It has not been scientifically elucidated, but I believe that food stimulates certain pleasure centers and some may contribute to addictive like behaviors. And it is possible the amount of gluten and dairy in our diet currently and the industrial processes used to make them commercially accessible may make these protein fragments more available contributing to the issues we associate with gluten and dairy. I do eat bread and dairy on occasion – but I limit those times and make sure that what I am eating is worth it. So I come up with satisfying alternatives that reduce and many times annihilate my cravings. 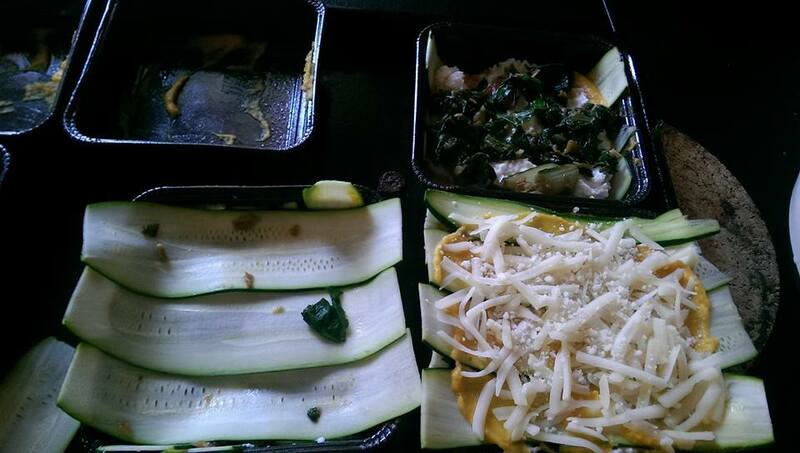 Why eat dairy filled pasta that leaves me feeling bloated, full, tired and regretful when I can eat this? The cashew nut goat cheese is the most time intensive ingredient as it takes more than a day, but the steps are simple. Once made, it can be consumed in numerous ways – I used it in lettuce wraps, ate it with raw celery, roasted veggies or dried fruit. 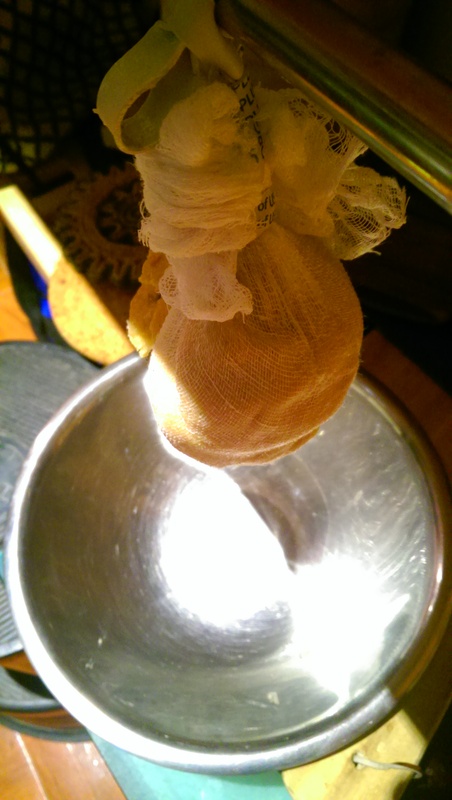 The key to the goat cheese is roasting the nuts until they are golden, soaking them and then squeezing the water out of the cheese – which I did by hanging it in a cheese cloth for a day. Very little water comes out, but it is important to remove otherwise the cheese is too sticky. 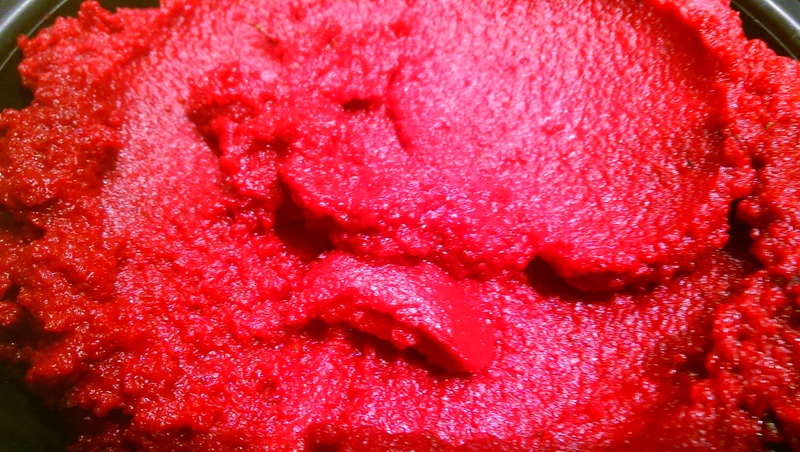 I decided to make a savory beet puree because I had an abundance of beets (I used the greens to make a pesto). To tell you the truth, I am not a fan of beets. I like to juice them because they are sweet and earthy and mix well with other veggies and fruits, but it is that very same sweet earthiness that I do not like the flavor of in main dishes or salads. Beets are very healthy and good for the body, so I am playing with different ways to eat them. I neutralized that sweet earthy flavor by cooking and blending them with veggie stock, herbs and vinegar. It was tasty! 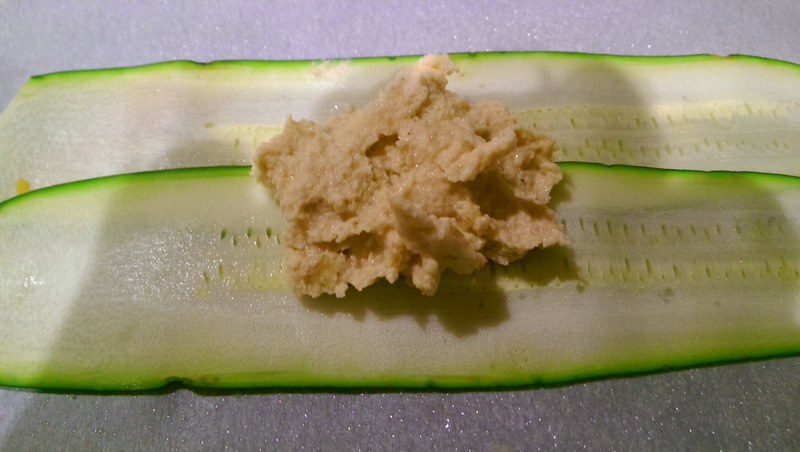 I had so much left over after making the bundles – but it worked well on top of cucumber slices, with eggs, on polenta and I even used it instead of tomato sauce on a pizza (made with a cauliflower crust). Chard, beets and goat cheese are a common pairing and my garden was overflowing with chard, so I gently sautéed some of the leafy greens with garlic for the “ravioli” filling. OK, back to this cheese-less heavenly dish. 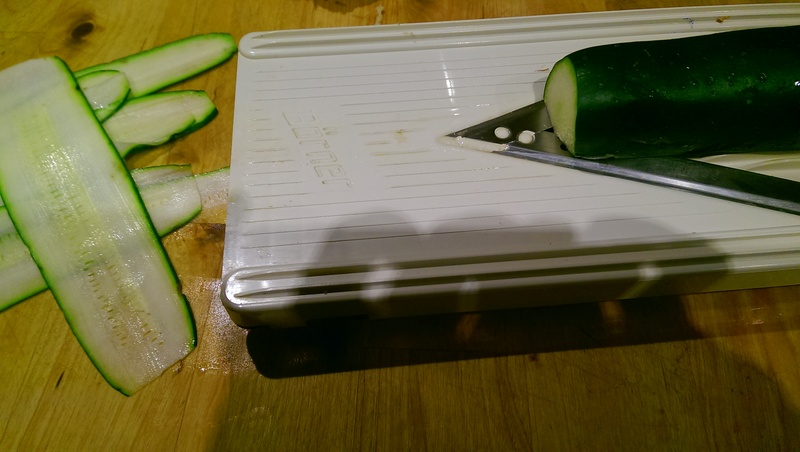 I used a mandolin to slice the zucchini thin enough to roll up in a ravioli-like bundle. The thinner the slice, the easier it is to roll, but the easier it is to break as well. If the slice came out too thick, I left them near the heated stove and oven as I was cooking and the heat made them more flexible and easier to work with. 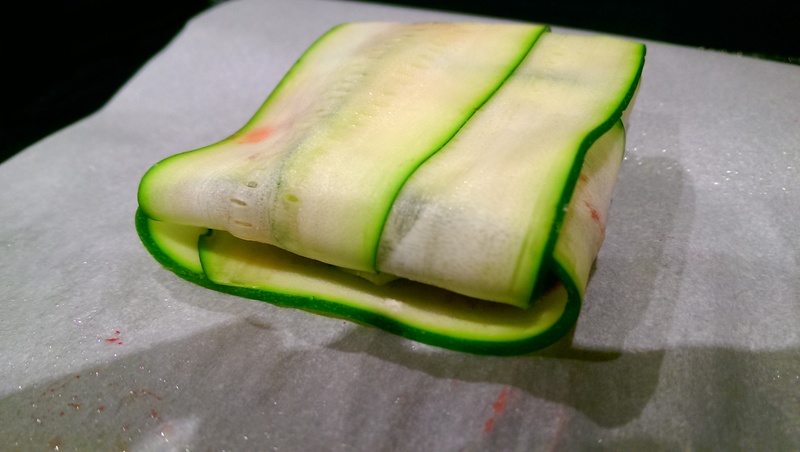 I placed two pieces down and filled it with the cashew nut goat cheese, beets and chard, then folded over the zucchini. I placed one or two pieces on top and folded it over and tucked them in. 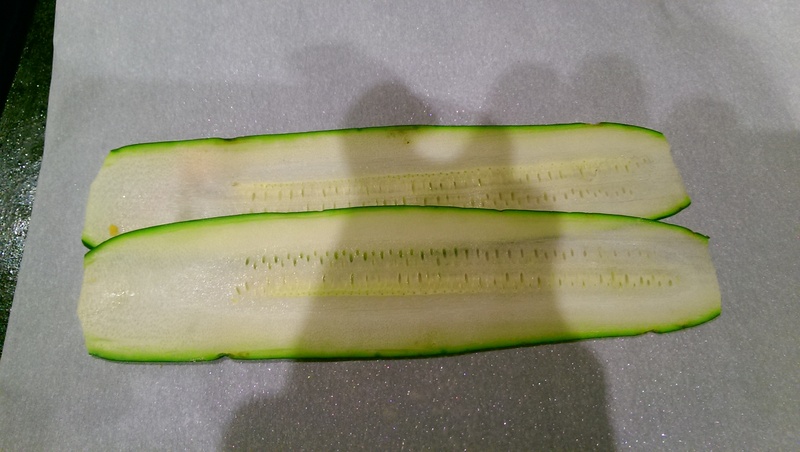 The size of the bundle depends on the size of the zucchini (that’s what she said) but I found that 6-8 per person was a large meal. 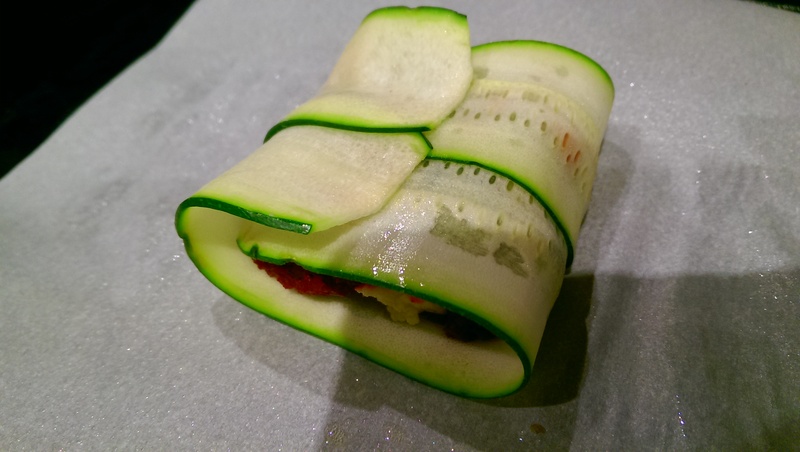 The bundles were baked until the zucchini was soft and transferred to a plate, garnished with basil and walnuts and served with my veggieful tomato sauce. 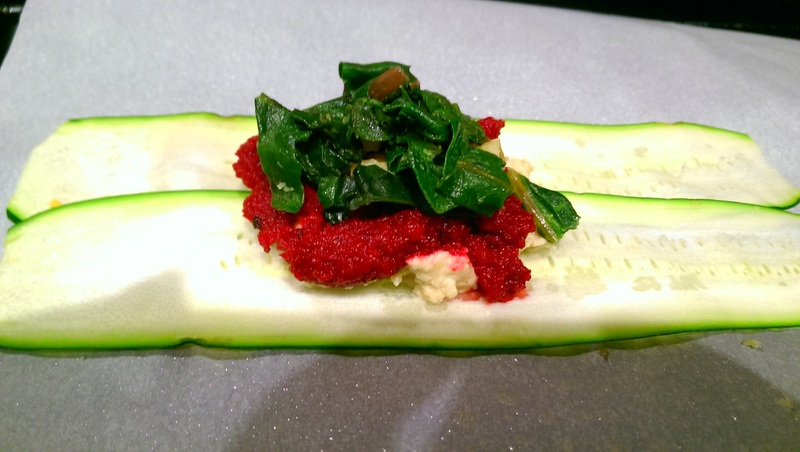 I served this dish with my faux-meatballs and the beet green, kale, almond and walnut pesto. And now I have yet another dish to sneak beets into my diet. Heat the oven to 400 degrees F. Place beets on parchment brushed lightly with ghee and bake for about 45, until soft and slightly browned. Place beets into a food processor with remaining ingredients and puree until smooth. Heat oven to 400 degrees F. Place cashew nuts on parchment and roast in the oven for about 5 min until golden brown (be careful not to overcook). 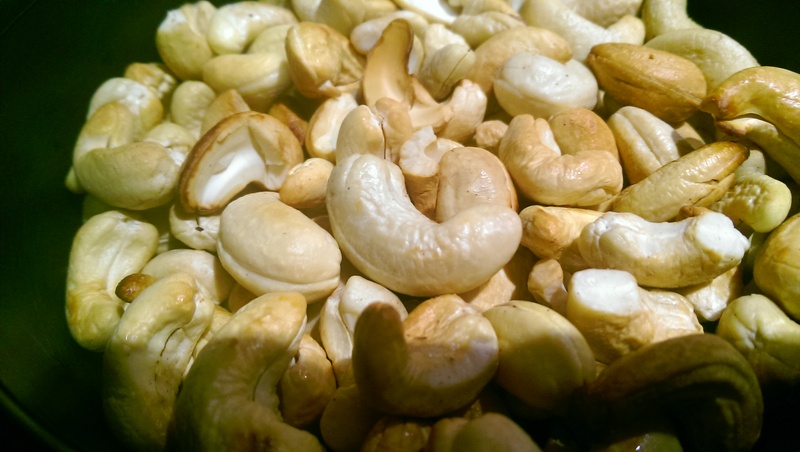 Place the roasted nuts into an airtight container, completely immersed in water and let soak for 8-12 hours. Drain the soaked nuts and rinse with water. Place the nuts into a food processor and add tahini, salt, nutritional yeast. Slowly add lemon juice and oil as the nuts are blended into a sticky but smooth paste. Add water as needed to make smooth, but try to add as little as possible. Place the paste into a cheese cloth and gather up the ends into a ball. Either hang the cloth, or place into a strainer on top of another bowl (with space between) and let sit for about 5-10 hours letting any remaining water/moisture drip out. Remove the nut cheese from the cheese cloth, form into a ball and place in a container and refrigerate for at least 2 hours to make it firm but it can be added into a ravioli bundle without refrigeration. Heat a skillet to a medium heat and add ghee. 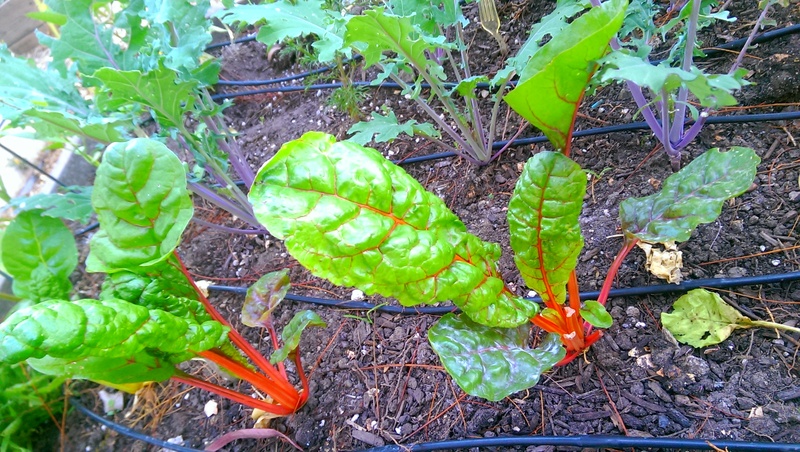 Add in chard and wilt – about 5 min – until tender. Add in garlic, mix thoroughly, remove from heat and set aside in a bowl. Lightly brush a parchment paper with olive oil. 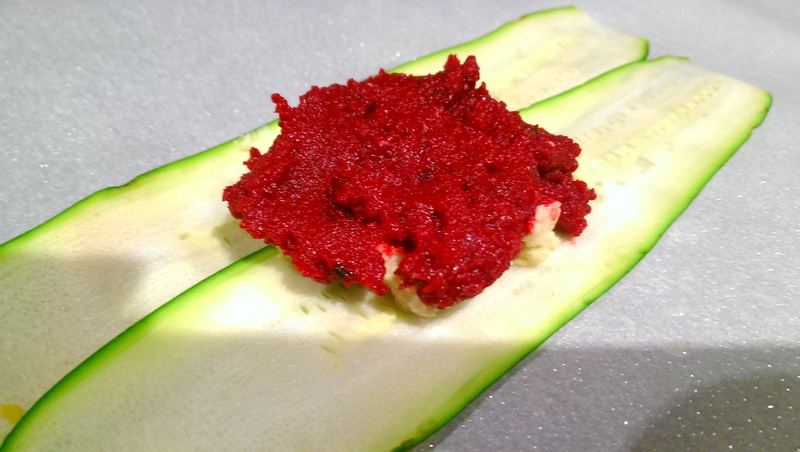 Lay two sheets of zucchini, add a dollop of the nut goat cheese, a small amount of the beet puree, an a bit of the chard. 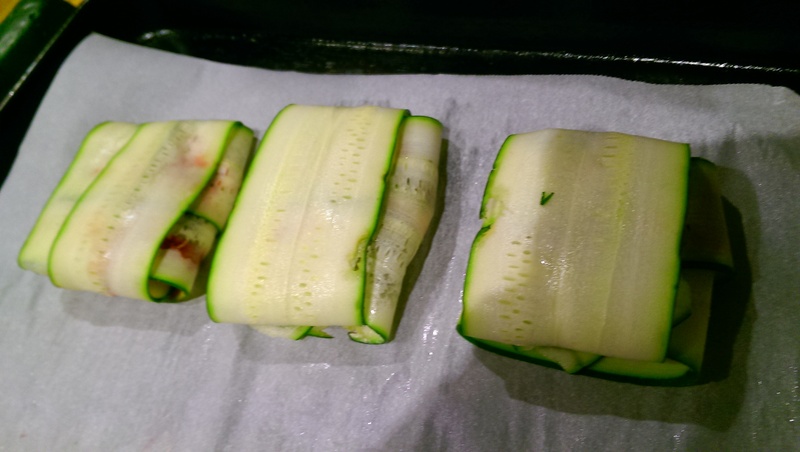 Fold the ends of the zucchini up and lay one to two sheets of zucchini on top and tuck in. Place onto oiled parchment and brush lightly with olive oil. Repeat. 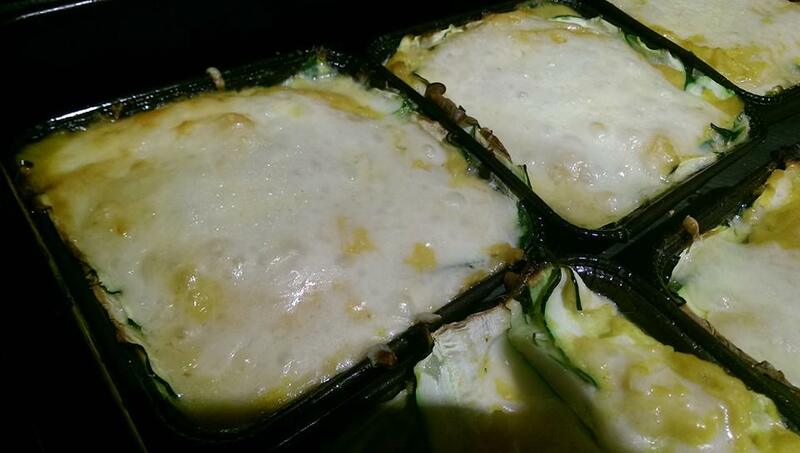 Bake the zucchini ravioli for 15 min in the oven. Take out and transfer to a plate. 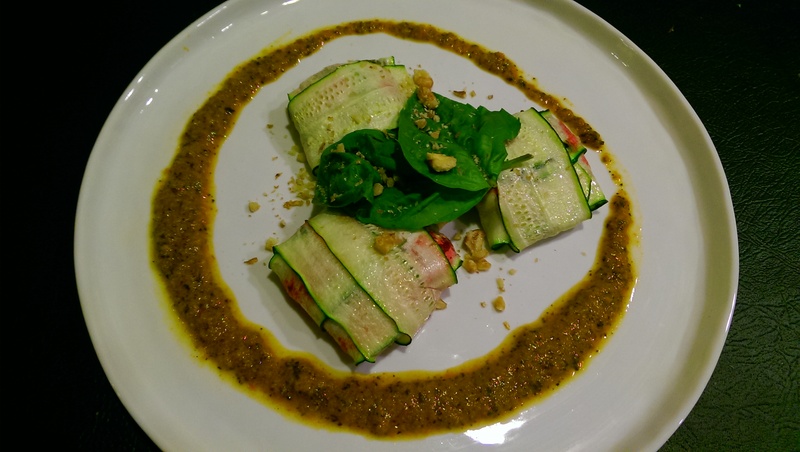 Garnish with sauce, basil and walnut. The way food is being designed is totally manipulating our genetic draw to certain nutrients- sugar, salt and fat to be specific. (have you read that book? its great) Thanks for sharing this- it looks delightful. Thanks for sharing! I have not read it – but I will pick it up. Thanks!